Marriage records are not just nostalgic keepsakes that remind you of the joining of two branches of your family tree, they also hold some of the most important information to help you build it. At Findmypast, our extensive collection of marriage records from around the globe gives you ample chances of finding details of your ancestors' nuptials. What's more, you can start finding your family's love stories in a matter of moments with record hints on your Findmypast family tree. Simply start by adding who and what you already know and we'll automatically suggest marriage records and more that match the details. 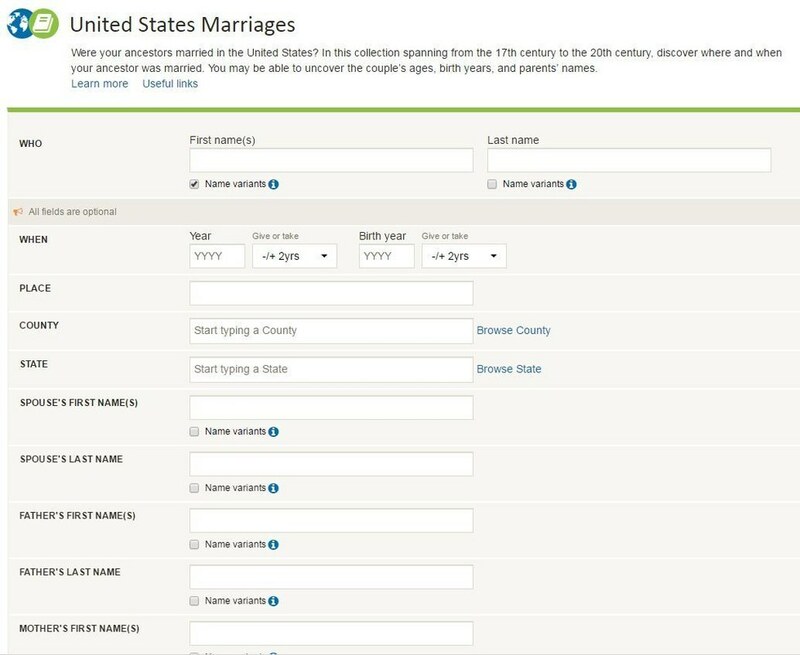 United States Marriages will be the largest online collection of its kind when complete with many of it's records exclusive to Findmypast. From the top blue menu bar when logged into the site, select 'Search' and you'll be presented with a drop-down menu of record categories. 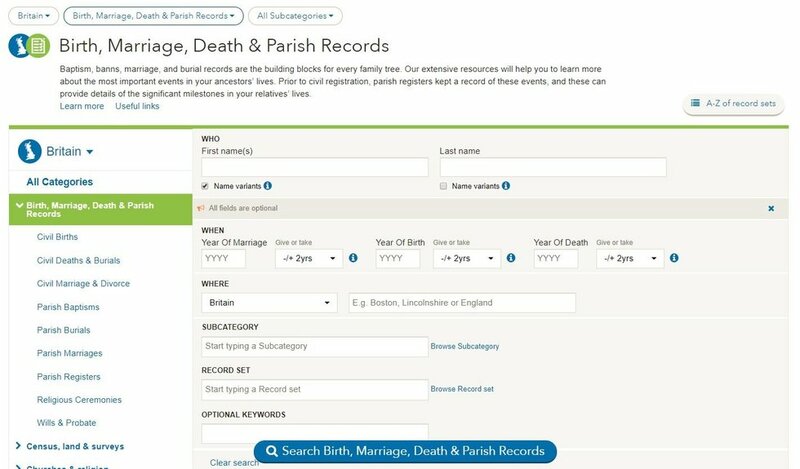 Select 'Birth, marriage, death & parish records' to concentrate your search on that category. 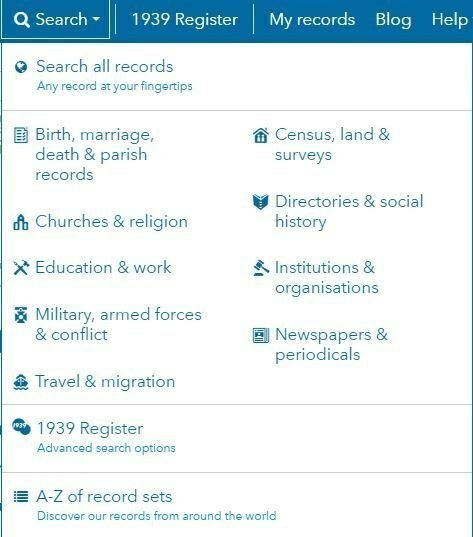 You'll be taken to the Birth, Marriage, Death & Parish Records category search page. To focus on marriage records select either 'Civil Marriage & Divorce' or 'Parish Marriages' from the filters on the left-hand side. Make sure you have selected the country you want to concentrate your search on at the top of the filter list. 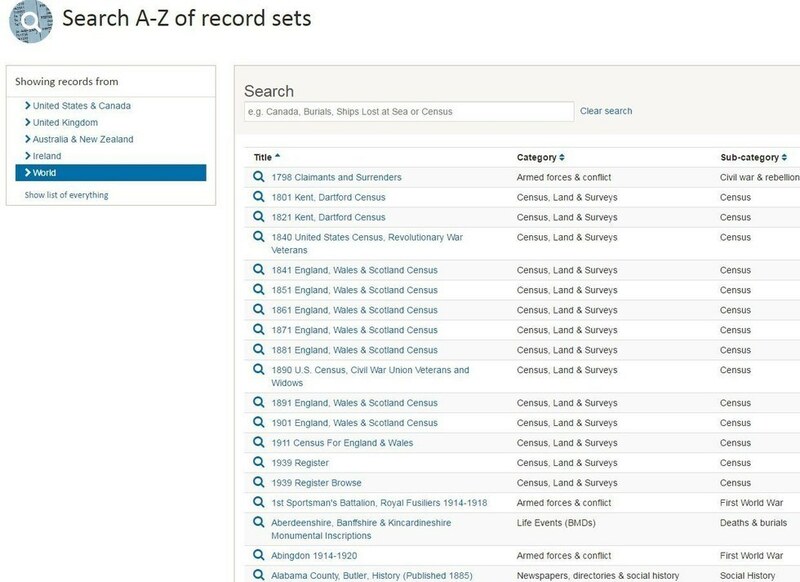 Enter any criteria you know about your ancestor and hit search. 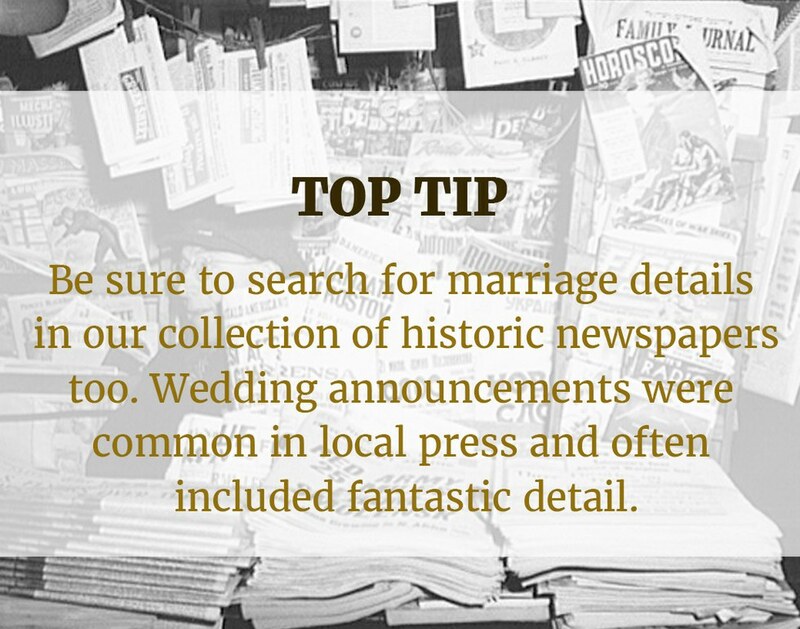 The category search should be used when you want to broadly search a wide range of marriage records.